Jefe Mark Becker gets a shoe shine. Ain't Too Good For A Good Thing"
Street cat seeing a hustle, "Shoe shine, Chief?" Chief Becker looked at the "street cat" and "Street". My instinct was telling me to take over. "Yeah, Chief, ain't too good for a good thing," Street tells "shoe shine cat". Chief Becker smiles, and so does the "shoe shine cat" along with other people sitting at bench right next to the scenario. 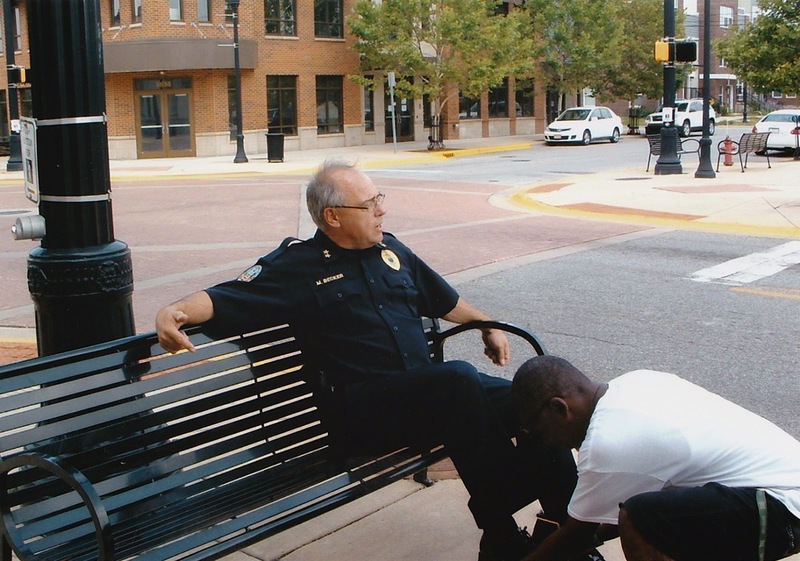 Before you know it, Chief Becker is seated having his shoes shined right on Main and Broadway in "The Harbor". Street stood back and just savored the moment as the people there looking on. 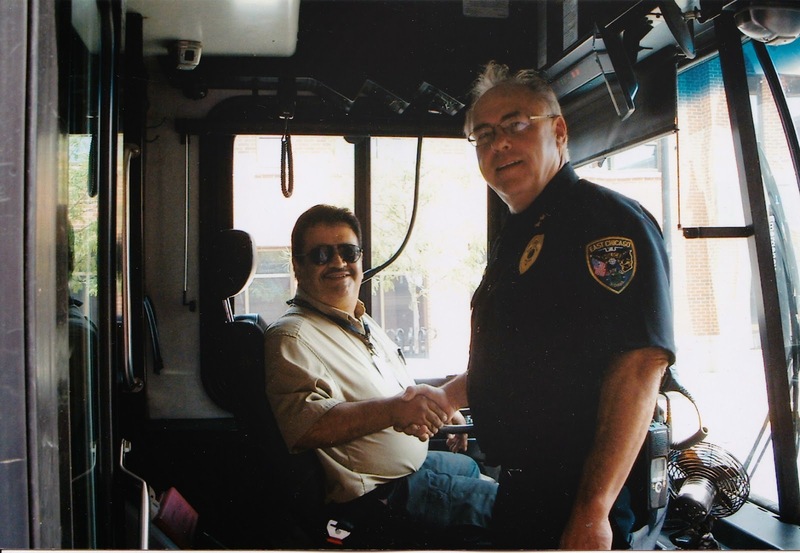 Chief Becker talked with "Shoe shine cat", and we both learned something. "Where did you shine shoes at?" Chief Becker inquired. "Right over here by the courthouse," Shoe shine cat" motioned toward County Courthouse right behind us. "Judge Arredondo used to let me shine shoes inside there, but he's gone now." Shoe shine cat answered Chief Becker. "I thought he was still a judge?" Chief Becker interjected. Street explained to Chief Becker as we talked on Main and Broadway. Why can't "Shoe shine cat" return to County Courthouse on Main Street and shine shoes? Let him make an honest hustle!! !